Rated 5 out of 5 by FishyFemale from Gorgeous graphics with a nice variety of gaming strategies I thoroughly enjoyed every aspect of this spectacular game! It has a very nice mix of adventuring, object finding, and puzzles so that there's not too much of any one thing to irritate the average gamer. I love vivid colors and this one has it in abundance. You can even adjust the brightness to your liking so even the darker scenes can be illuminated enough for you to see what you're looking for. I thought the blend of snowy scenes with summery ones made for a nice changeup of scenery, as well as finding fragmented objects in addition to the usual word lists in the HO scenes (which are interactive). You can also create a map by collecting coins in each area so you can easily transport yourself to that location later on instead of walking there on your own, but the other option is still available for those like myself who prefer the adventuring. At the bottom of your screen are three sections: Inventory, Goal, and Objects. When you do a search for fragmented objects, they first go into the “Objects” slot. Then when the object has been put together, it moves into the “Inventory”. The "Goal" section describes your tasks. There are lots of places to go with lots of things to do. The music and voice over add to the atmosphere, and the refill times for the hint and skip buttons are reasonably quick. The hint button works outside of the hidden object scenes but is sometimes difficult to "follow" in snowfall scenes. It works like a shooting star and I had trouble seeing it in the opening scene when it blended in with the falling snow, but otherwise gameplay was smooth overall. I had a lot of fun with this one. Rated 5 out of 5 by ramco4113 from Bring on the Sequel I really loved this game. Finally a game with a little bit of everything included. I played the SE and it was wonderful. I can't wait for the sequel, I'll even get the CE. Rated 5 out of 5 by FamilyDad1 from Perfect, Balanced, Fun This was one of the longest games in recent memory and that's a very good thing because it kept me wanting more. There's always so much to do at all times, you will find yourself saving and taking a break before you dare finish this incredible game. You always knew what to do next, no backtracking, the perfect amount of HOS, puzzles were at the right places and just challenging enough, there were characters who spoke to you, many rich interesting locations, each varied and different and a spooky mansion with doors leading to various realms holding it altogether in a neat hub so you never got lost. For example, one location led to a cobblestone street reminiscent of Sherlock Holmes, another to a cozy old cottage, seaside lighthouse and graveyard garden. Always fun and interesting to explore. There were many extras such as Find the Gold coin to Win a warp Map of that location, match 3 puzzles which were fun, not aggravating, find a specific object puzzles and assemble the object from the pieces around the scene. Now normally I hate these, but in this game they worked because they were few and easy. Everything about this game was a pure pleasure to play. It kept all of your objectives neatly in check, literally spelled it out for you if you got stuck and needed to reference it at the click of a tab and everything unfolded from the fireplace mantle in the great room of the mansion. You also have a pretty good Hint system which only failed a few times when there was something very specific to do. This is my only light complaint. But overall, this is definitely in the Top 10 Big Fish Games. Can't wait to play more from this developer. Rated 5 out of 5 by loveelvis from one of my best game over! I played so many hos games that sometimes I'm tired of them but this one is surprising from beginning to end! This is not quite a hos game because you have no many hos to play but it is always throwing you to one place or another one, searching places where you thought you were done! but no! there's something you left in a place that can be useful in other place. I didn't like at first to have to find parts of an object but it was funny and I found it cool after playing some "I have to find a little key, or not?". Music is good, not so hard not so sleeping. art is very well made. This is the most new and innovative game I ever played. Like it! Rated 5 out of 5 by jasperjabberwoki from Loved it! I enjoy HOPA with a only a touch of HO and this is it. I didnt want it to end. Reviewers have been saying that its difficult to see some objects and I believe its because they are well hidden. As good as Dire Grove. Must Buy!!! Rated 5 out of 5 by neilskinut from a different type of HO game Good game. HOS are good but you also have items to put together and find to get a item to move forward. Voice over and graphic are good. Will keep you interest. Rated 5 out of 5 by usfreedom from Great game This is one of the most difficult games I've played. I love being able to earn pieces of the map so I can "teleport" to an area I need to be without having to back through a dozen other scenes. The puzzles were different and thoughtfully created. Rated 5 out of 5 by mellomom2 from Was Surprised by the game! I almost never write reviews but I had to with this game. For a very small download, this game packed a lot of action with a great storyline! I really enjoyed my time with this game more than some others that are more popular to play. I recommend this game to anyone! Rated 5 out of 5 by Helelos from Excellent Music doesn't get boring. Great graphics. Insteresting story to follow for young and old! I also liked the different search activities. Rated 5 out of 5 by JoAnn7 from A delightful gem of a game I loved this game! The graphics were beautiful, the plot entertaining, and the music was appropriate without being annoying. The storyline was great and the puzzles were challenging without being too difficult. I especially loved the interior shots of the house and the last section in the garden. The end of the game hinted at a sequel? I can only hope. I would love to see more games from this developer! Rated 5 out of 5 by esmeqt from A Sleeper Hit! I loved this game and am not sure how I missed it when it came out, but I'm so glad I finally found it! You get a message to come to a party, but when you get there, things are not what they seem. It's up to you to save the souls trapped by the evil spirit or end up trapped yourself. Sounds like your typical H0G game, but it isn't. There are some Fr0G scenes, some regular H0 scenes and lots of different puzzles to solve. You really have to figure out what to do and where to go in this game. I found myself enjoying it immensely! There are hints available, but they're just that, hints. You still have to figure out what to do with them. I played the SE version of this game and it had a satisfying ending which I appreciated. The graphics and sounds were well done and added to the mysterious feel of the game. The game functioned smoothly for me and there were no glitches or technical problems for me. I was surprised at how much I enjoyed this game and when I wasn't playing it, I couldn't wait to get back to it. That's not something I feel with many games. I just really enjoyed it! Rated 5 out of 5 by casual_beast from Amazing looking game with great HOs I was really blown away by graphics and special HO mechanics this game has to offer. The story is a typical "go into the haunted mansion" one, but it didn't bother me because scenes are really well put together. I bought SE though because I was short on money for CE, but now I regret it. Play it and you won't be disappointed. Rated 5 out of 5 by ffuryy50 from GOOD Game!! First of all, if you dislike dark, occult or fantasy themes -- go no further. Everyone else, read on... :) I'm giving this one five stars even though it ran very slowly on my nearly new iMac.... I even uninstalled and reinstalled - it didn't help. But the game was so good, I was willing to deal with how slow it ran on my computer - plus you might not have the same problem with yours. So I recommend using the trial version before purchasing.... The game is not terribly challenging for all you stress-hungry brainiacs out there, but challenging enough to keep you engaged. I didn't have to open up the walkthrough to figure the game out -- plus the hint button lets you know when there is nothing to do in the current area (which I appreciate). Also, although you do a lot of backtracking, the game has an interactive map, which I find highly desirable in these types of games. A fun little twist is that you must collect gold coins in each location to enable it on the map. There's a very good mix of HO and puzzles.... I'm a much greater fan of puzzles and finding things within the game than I am of the pure HO scenes. The game has a few but not so many as to bore me. It had a mini-puzzle I hadn't seen before - sort of a backwards match 3 - it takes some thought but doesn't fry your brain. Also some fun twists on old puzzles. It includes several substories -- one's a murder mystery, another requires finding ingredients to cook a couple recipes, another involves repairing a pirate's ship, etc. This game has it all! The story is excellent and does not get lost within the subplots. Loved it. For those who dislike the "interruption" of a story line, it can be skipped. But this one doesn't interrupt your gameplay that often or that long, yet is fully developed and helps the game move along. For me, a game is far more interesting when the story is as good as this one. Also, unlike so many other games I've played, it has a satisfying ending but lets you know there will be a sequel (can't wait). I would say the length of gameplay is average... I thoroughly enjoyed Curse at Twilight.... Hope you do too! Rated 5 out of 5 by ElizaBennet from Loved it! Very fun game, with an interesting storyline. You get an invitation to this mysterious manor for a party, but when you get there, you find that it's abandoned and you're completely alone. You go in (for some reason) and find out that there's something evil in the house which you have to stop or else it will eat you (or something like that). 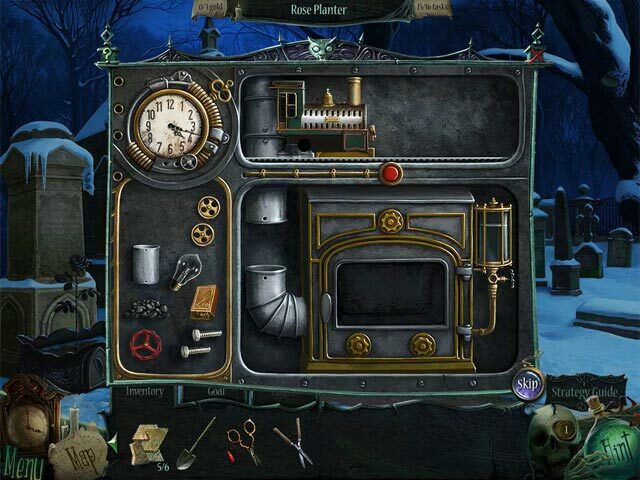 Lots of different hidden object scenes with great graphics. Lots of different areas and tasks - it's not simply "find an object in a junkpile for no reason" - you use the items you find. Also, game had a nice ending which left me wanting a sequel, but not feeling irritated and cheated, like some games do. It has an actual ending. 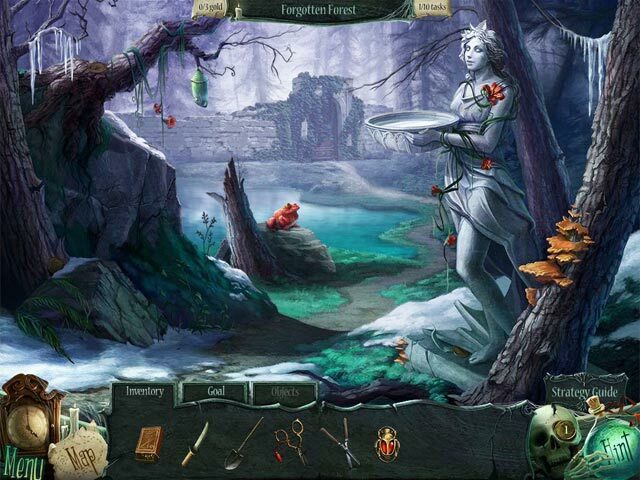 Rated 5 out of 5 by JCal43 from BEST HIDDEN OBJECT GAME YET Wow! This is the best game I've played in the many years I've been a client of Big Fish. This game had a little bit of everything, as it made you think, it was challenging, and couldn't keep away from not playing it so see where it would take you next. Hope there will be more games like this one. I already have friends hooked on this game. Rated 5 out of 5 by cjc_62 from Enjoyable game I really enjoyed this game, if they come out with a part two I would certainly buy it. Once I got into it I didn't want to stop. 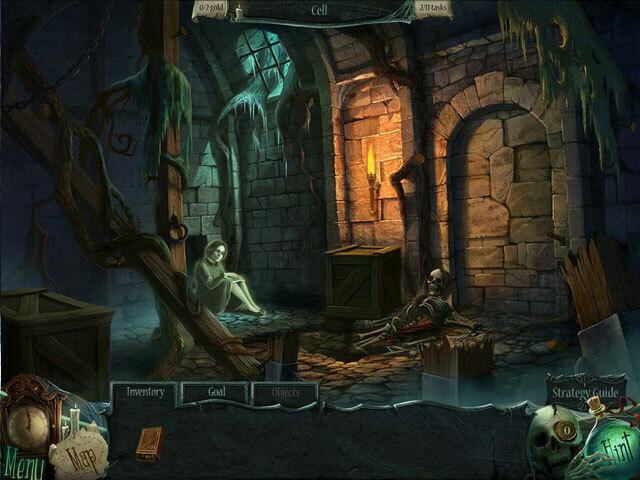 More of an adventure game which I do like not having so many Hidden Object scenes. I don't mind some of those I don't like it when a game is overrun with them and this one is not. I liked the story and the graphics were great. Rated 5 out of 5 by unknitter from I've put this on my Favorite Games list! I loved this game! There are so many things to do that are fun and different from other games. The story is much like others but I don't let myself get bogged down in the story if I'm enjoying other aspects of the game. I find most stories are too far-fetched to expect realism anyway. The scenes are outstanding in their variety. They include everything from spooky to fantasy to sci-fi to whimsical and then some. I especially liked the Woodland Cottage scenes and the fun things to do there. Graphics are clear and interesting, Hidden objects and pieces are not too hard or too easy to find. A map that allows jumping around is always good and building it by finding coins just added to the fun. Puzzles and mini-games were varied; some we've seen before, others not. A few, but not many, could have used better instructions for me. I did have to use an occasional hint or the walkthrough to know where to go next, mostly toward the end of the game. All in all, I found this game very enjoyable and I'll be looking for other games by this developer. Rated 5 out of 5 by cestqui from some well thought out features Overall, very well done. The graphics are quite good. It's a bit dark but can be adjusted in the settings. The HO scenes have fairly standard fare but are okay - neither too difficult nor too easy. The game play is smooth - doesn't lag or take a long time to load. There's a map feature which allows (if you've found all the coins for that area) movement between disparate scenes. It's a terrific in that it eliminates the tedium and frustration of having to click endlessly between scenes to find a needed item. Clicking the hint button also tells if there's nothing more which can be done in a scene at a given time, and does so without resetting the hint timer, which is nice. Another nice feature is a task counter at the top of the screen. It tells how many tasks are needed to complete an area, and how many have been done. Nice - no wasted time fruitlessly searching completed areas. Two items could be better: The feature that separates a "found" item into many parts that then have to be found again. It was just annoying and often the parts were VERY difficult to find. However, the hint button can be used for that. Some of the mini games were funky and not smooth but, again, these could be skipped. On the plus side, there were a nice variety of styles & challenges in the mini games. Quite enjoyable: music nice & not annoying, good length of play, challenging enough but not too difficult and not uber macabre. Would definitely recommend. Rated 5 out of 5 by AntiBless from Finally something new! Unmissable!!!! This game made me enthusiastic! If you like adventure - HO games then try it without read me, because ( I bet on it!!!) you will be just enthusiastic like I am! If you want to know something more, then go on. I hope I shall not ruin the surprise to you...but I don't think so, because this game is full of surprises! Graphic is beautiful.The story is nothing new, but well done. But the gameplay makes the difference! You have so much to do in any room, in any chapter, in any scene! but all is perfectly orderly and organized.You have to find several items in any scene and they go in your inventory for solve puzzles. You can find the items in HO scenes, or, simply, somewhere in the place where you are. You can also find items that are scattered in pieces in the scene. You must find gold coins in any new scene, and when you have the right amount of them, you receive a new piece of map. The number of coins you have to find and the number of tasks you have to accomplish is written so you don't have to search for nothing. In this game everything have a sense and you must go back and forward only for a purpose and not because you are lost or don't know what to do next. A lot of puzzles are new and I really liked them. They are challenged enough, but not hard. And I loved the wooden boxes...you find one of them in any new chapter and you have to play a game with runes...but I don't want to tell you too much. Try it! BUY IT!!! It worths your money!!! My compliments to the game makers!!! And thanks BF! Rated 5 out of 5 by wiccan73stars from Short but very Good! Great game, good story line, lots of HOS' with good graphics, VOs in the background(characters don't actually speak but still good) and well accompanied music. Story draws you in right from the beginning and had me glued til I finished which is unusual for me. I have to say a big bonus was the map that allowed you to jump back and forth with out actually having to work your way around again and again! Although I felt it was a tad bit short, in the end it mentions a sequel that I will definately be on the look out for. Puzzles were fairly easy and hints were abundant but rarely needed, a great game for beginners or more advanced players just looking for an easy way to pass time doing what they enjoy! Rated 5 out of 5 by DLongo from Extremely Enjoyable HOG! This game kept me entertained throughout. Although it was not very hard overall, I enjoyed each of the puzzles and I am pretty sure I will play this one again in the future. The ending is kind of blah but it seems to promise another game will soon be on it's way. I could not find the sequel to the game yet.....did I miss it? Rated 5 out of 5 by Melvin2 from Great Game! Excellent storyline, great graphics, good puzzles, more challenging HO than most. A GREAT mix. Lots of going back, but a map moves you there quickly. Just need to remember where each puzzle was, so writing them down and crossing them out as you finish them will help you TONS! Won't say more since everyone else already has had their 2 cents! Loved the game.. Rated 5 out of 5 by mcasburn from Loved it! Not too many HO scenes = great in my book. Also appreciated the use of an interactive map for faster travel, as there's a decent amount of back and forth. Some puzzles you've seen before but also a smattering of clever new ones. Rated 5 out of 5 by legalhelper from Enjoyable Game! This game was highly enjoyable for me. I really liked the map pieces, making it much easier to transport from place to place. It has a nice combination of searchable items, not just pure HOG. Rated 5 out of 5 by boredhousewife1 from What a deal! Really enjoyed this game, considering the file size it was as good as a lot of CE's. I wasn't expecting much, but found it to be a good story line, lovely graphics and challenging mini games. Liked the fact that you could adjust the darkness if too dark. Decent length also. And fun extras like collecting coins to collect maps so that you can jump from scene to scene - great idea. I have given 5 stars as although there are better games out there occassionally, this was extremley good value and I am amazed that I got so much from such a small file game. Can't wait for the follow on. 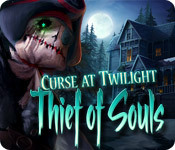 Rated 5 out of 5 by JennDixie from Curse at Twilight: Thief of Souls Wow, this game was great! Every level had HOG, FrOG (the fragmented hidden objects), puzzles, strategy...it had it all. Loved the variety within each level like that. It made each one feel like you really accomplished something when you got done. Really really fun game! Rated 5 out of 5 by Georgiebw from ONE OF THE BEST!! I have to say that this is one of the best games I have played in a long time, better than some of the CE's I have purchased lately, so WELL worth the $6.99. There are tons of things to find which is always a great change from the your usual HO scenes which tend to get a bit tedious after awhile. Great storyline and the graphics are awesome. There are only 2 things that got up my nose a little - the first is the "loading" between each "chapter" or doorway. The second thing is that I feel the puzzles with the runes should have an "undo" as well as a reset option! Great game and DEFINITELY worth the money! Rated 5 out of 5 by Zaboonia from Loved it Make more just like this!!!! Loved everything about it. Sometimes the games are too hard or too easy. This was just right. Rated 5 out of 5 by LPERM from Definitely a buy. I started this one and couldn't stop (except to pause the demo and buy it). Warning don't start in the evening on a work night, you will be plenty tiered the next day.